The Put Foot Rally combines these aspects and more into their philanthropy. The organization calls on adrenaline-seeking teams to travel 9,000 kilometers across six African countries in 18 days. Barcelona will be sending its own team, the Hot Chili Chicas, to journey their way through the sights and sounds of Africa. 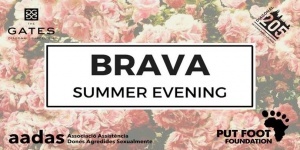 You can help send them off in style at the BRAVA Summer Evening event this Thursday, June 7th at the Skyview Bar and Lounge, Gates Hotel starting at 19:00. Tapas, dancing, drinks, live performances and guest speakers will celebrate these four women before embarking on their journey. If you are looking for a trip with a tour guide, luxurious amenities and gourmet food, then leave the adventure for the Hot Chili Chicas. The Put Foot Rally is Toms meets The Amazing Race. While journeying through South Africa, Namibia, Botswana, Zambia, Malawi and Mozambique, participants give shoes to young African children, often their first pair of shoes ever. The teams are completely un-assisted. So if your car breaks down, you injure yourself, or you get lost, it’s your problem. This charity event is not for the weak or quitters and has a “legends only” policy. So, now that you’re convinced and have your bags packed with your travel toothbrush and an extra pair of underwear, what else do you need? Transportation. Teams in the past have travelled on vehicles old and new, small and large. Some have made the journey on motorcycles, while others opt for a customized, Mad Max inspired vehicles. In each country, the four women will travel to checkpoints where they literally “put foot” by placing shoes on African kids. Afterwards, a themed party kicks off the festivities. The crews meet up at each one, celebrate, and continue to the next point from there. While traveling through these countries, the Hot Chili Chicas will get to experience Africa authentically. With more than 2 different languages spoken in each country, participants juggle language and cultural barriers as well as wildlife hazards like potential lion maulings. Now that you understand the tumultuous nature of the Put Foot Rally, the Hot Chili Chicas are going to need your support. 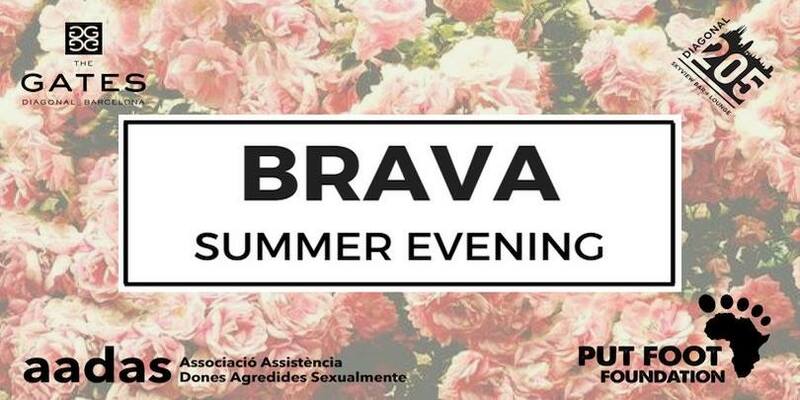 At the BRAVA Summer Evening charity event, guest speakers, music performances, drinks and tapas will help send off these “brava” women. What’s that? You want even more philanthropy? Don’t worry, we’ve got you covered. Your ticket also benefits AADAS, a Barcelona-based charity that supports abused women and children in Catalonia. See you there. (no Mad Max vehicle necessary. Just take the metro). This entry was posted in Blog and tagged Charity, giving, philathropy, women. Bookmark the permalink.